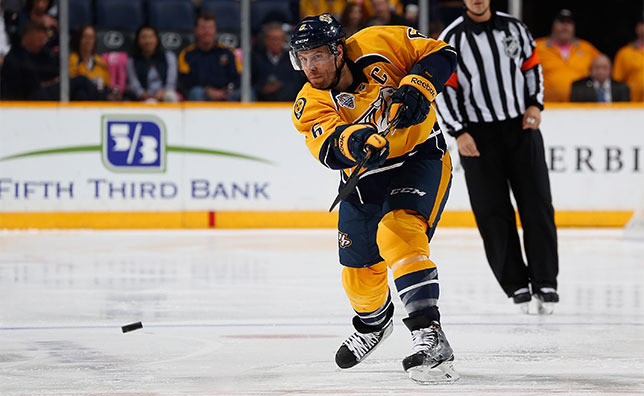 Nashville hosting the 2016 NHL® All-Star Weekend for the first time will correspond with a Nashville Predators record of player representation at the event. Defensemen Shea Weber and Roman Josi and goaltender Pekka Rinne have all been honored as 2016 All-Stars by the League, marking the first time in franchise history the Preds will have a trio of All-Stars initially selected to skate in an NHL All-Star Game. With his fifth All-Star honor in a row, Captain Shea Weber will break his own Predators record by becoming the first player in franchise history to be included in the event five times (no other Preds skaters has been an All-Star more than three times). Preds netminder Pekka Rinne receives his second consecutive invitation to the All-Star Weekend and hopes to participate for the first time after missing last year’s event in Columbus due to injury. 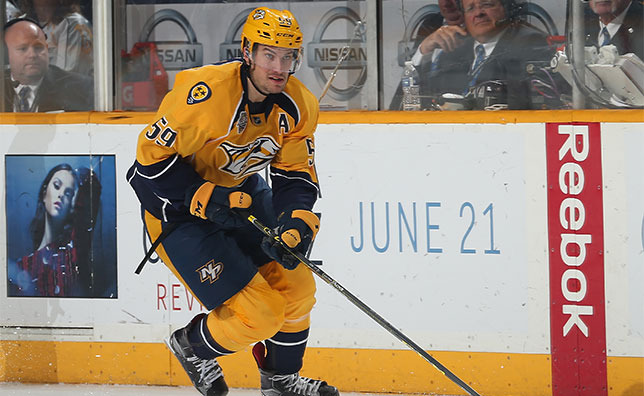 Finally, joining his Preds teammates for the first time at an All-Star Weekend will be d-man Roman Josi, the Predators leading scorer with 30 points (9g-21a) this season. Once Nashville’s best-kept secret, Roman Josi, the Predators highest scoring defenseman last season and again currently this campaign, the blueliner has been named to the inaugural All-Star Weekend of his career. Last season, the 25-year-old Switzerland native finished in the Top Five in Norris Trophy voting while recording 50 points, six shy of the franchise record for points by a d-man. Nearly midway through the 2015-16 campaign, Josi is on pace for more than 60 points and has also blocked 105 shots, good for the third-highest total in the NHL. Prior to this season, Josi was added to the Predators leadership group as an alternate captain. Currently in his second season as the blueliner’s head coach, Peter Laviolette gave a glowing review of Josi’s value to his club at the time. Shea Weber is slated to make his fifth career All-Star Game appearance, also the fifth consecutive occasion he’s been invited to participate in the game. The Preds Captain was also on hand for the YoungStars Game in 2007, which is no longer a part of All-Star Weekend. Weber registered four assists at the 2011 All-Star Game in Carolina while skating for Team Lidstrom, a Predators record for most points by a single player in an All-Star Game. Last year at the All-Star festivities in Columbus, Weber also recorded another Preds first, by winning the Hardest Shot Competition via a slap shot clocked at 108.5 mph. Second in all-time games played with the Predators franchise with 725, Weber is tied for second in scoring on the Preds in 2015-16 with 26 points (11g-15a). The 6-foot-4 defenseman was named captain of the Predators on July 8, 2010 - the first homegrown captain in club history - and has been a finalist for the Norris Trophy as the NHL’s top defenseman in three of the past five seasons (2011, 2012, 2014). Weber also finished fourth in voting for the Norris last campaign and is a two-time Olympic Gold Medalist with Team Canada in 2010 and 2014. Weber recorded his 150th career goal and 400th career point on the same play in a 7-5 win over the Ottawa Senators on Nov. 10, 2015, becoming just the third active NHL defenseman to reach the 150-goal mark. Goaltender Pekka Rinne rounds out the trio of Preds selected to represent the hometown team in the 2016 NHL® All Star Game. 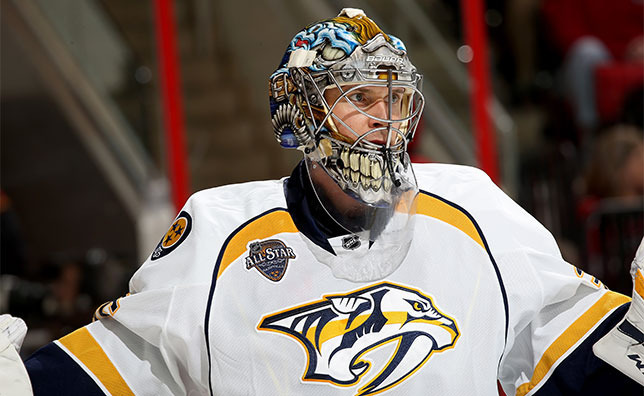 After being selected to the NHL® All-Star Game but unable to participate due to injury, this would be Rinne’s first appearance in an All-Star Game. Rinne also represented the Predators in 2009 at the YoungStars Game in Montreal. A Vezina Trophy Finalist three times in the past five years (2011, 2012, 2015), Rinne is the franchise’s all-time record holder in career wins (220), shutouts (38), goals-against average (2.36), save percentage (.918) and games played (415). Rinne was also Nashville’s nominee for the 2015 Masterton Trophy and finished eighth in voting for the Hart Trophy as League MVP in 2015. The All-Star Game will feature tournament-style play with teams icing units of three skaters and a goaltender; in the same format of the NHL’s new overtime rules for the 2015-16 season. Four teams will play two semifinal games (20 minutes in length), with the winners competing in the championship game. The winning team will be awarded a prize pool of $1 million or approximately $91,000 per player. Forty-four players will be split into four teams made up from players within the NHL’s four divisions (Central, Pacific, Metropolitan, Atlantic). Teams will consist of 11 players, six forwards, three defensemen and two goaltenders. Each team will be coached by the bench boss of the four division-leading clubs (The four division-leading NHL coaches will be determined by the best points percentage following the completion of games on Jan. 9, 2016). Both of the semifinal games (Central Division All-Stars vs. Pacific Division and Atlantic Division All-Stars vs. Metropolitan Division All-Stars) will be played on Sunday with the championship game following the semis. Games are 20 minutes in length with teams switching ends at the 10-minute mark and games tied after 20 minutes going to a shootout. As for the All-Star Skills Competition and Fantasy Draft, each will receive changes as well. The All-Star Skills Competition will pit the Eastern Conference versus the Western Conference with the winner on Saturday night (Jan. 30, 2016) earning the right to play their semifinal game on Sunday either first or second. The Fantasy Draft will be eliminated due to the new makeup of the teams based on NHL divisions and the fan-selected captains. The new 3-on-3 tournament and altered Skills Competition are currently on a one-year deal and will be re-evaluated following the 2016 NHL All-Star Weekend.